Sophisticated and elegant glass top coffee table. 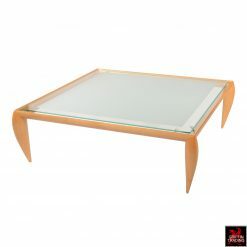 This large stylish glass top Brueton coffee table has a graceful and refined appearance. 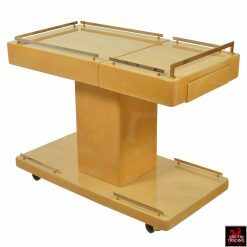 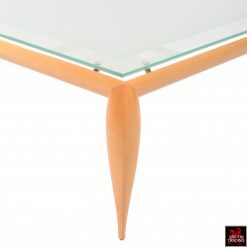 Designed by Architect Victor l. Dziekiewicz, this table was produced in the late 1990’s and called “Leggins”. 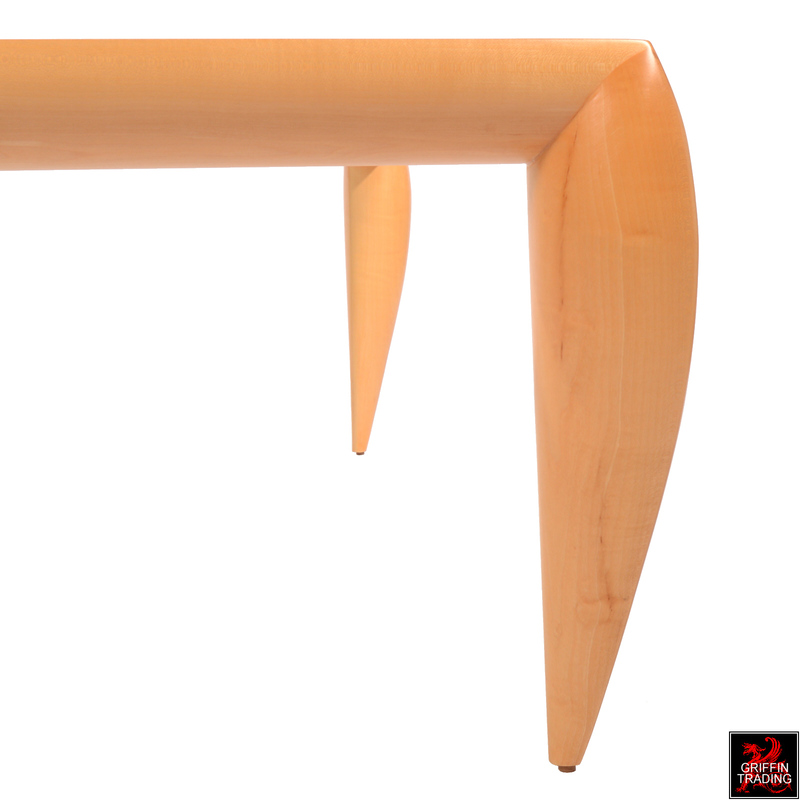 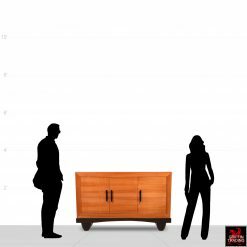 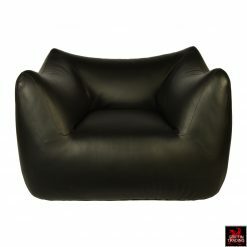 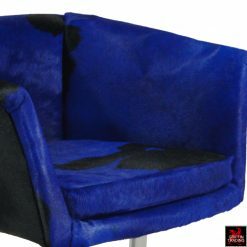 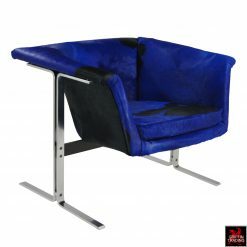 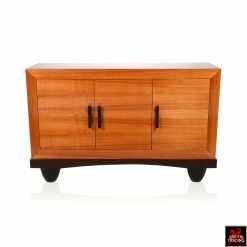 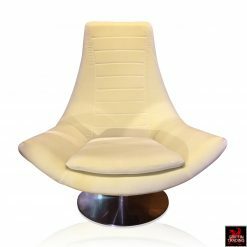 It’s made of a beautiful clear maple wood frame, that rest on shapely curved legs that sweep down to a point. 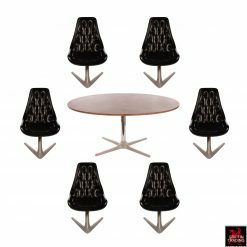 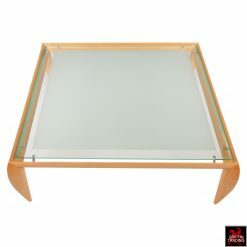 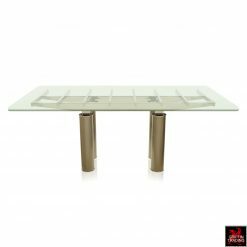 The coffee table glass top has a sandblasted finish with a 3″ clear border and a 45-degree undercut bevel edge, that mimics the maple wood frame. 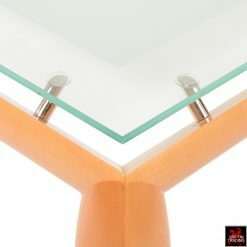 The glass floats in the middle of the wood frame and is supported by four sets of polished stainless steel pins. 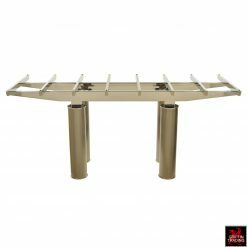 Brueton is well known in the trade for their high quality American made furniture and this Brueton coffee table is no exception. 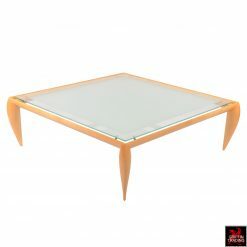 MATERIALS: Clear Maple wood base with etched glass top.